This is a gorgeous 650b Light Touring/ Rando Bike. It boasts Henry James lugs which have been nicely thinned, Columbus tubing, and has clearance for 650 X 42 (about 1.7") tires and fenders. Without fenders the bike will easily hold a 1.9" tire. There are openings to route generator light wiring internally through the frame. The pump mounts to the inside of the non-drive seat stay. 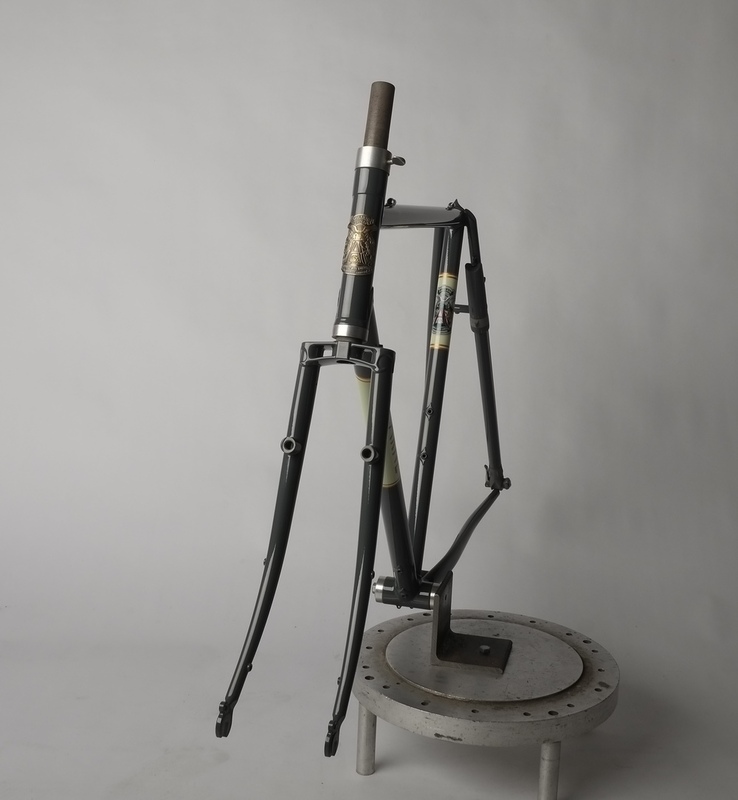 The powder coat is Slate Gray, and has Ivory White panels on the down and seat tubes. It's a very classy and understated frame meant to be comfortable on longer outings, and is meant to go where the roads are not always smooth.